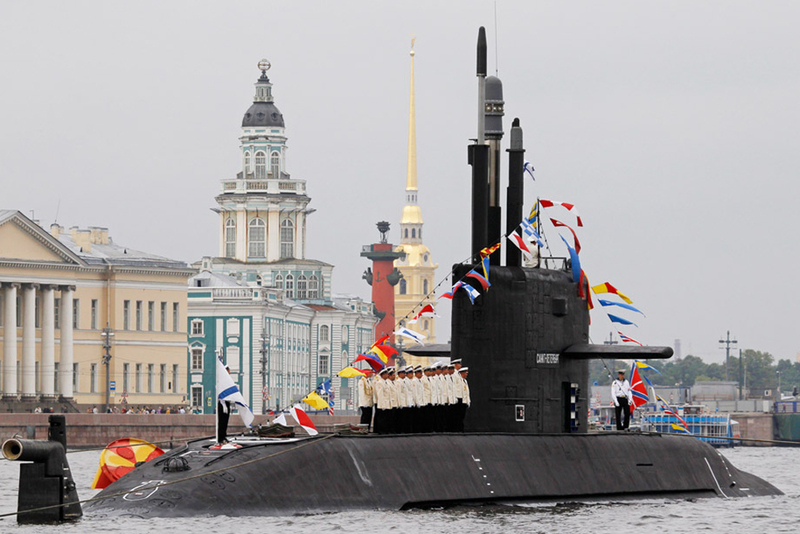 A Russian submarine is anchored on the Neva River in front the Pawel and Peter Fortress during preparations for Navy Day in central St. Petersburg, July 25, 2013. Russia will mark its Navy Day on Sunday. In this edition of our weekend gallery: the kaleidoscope of Russian life. When it is better to see something once than read about it hundred times.